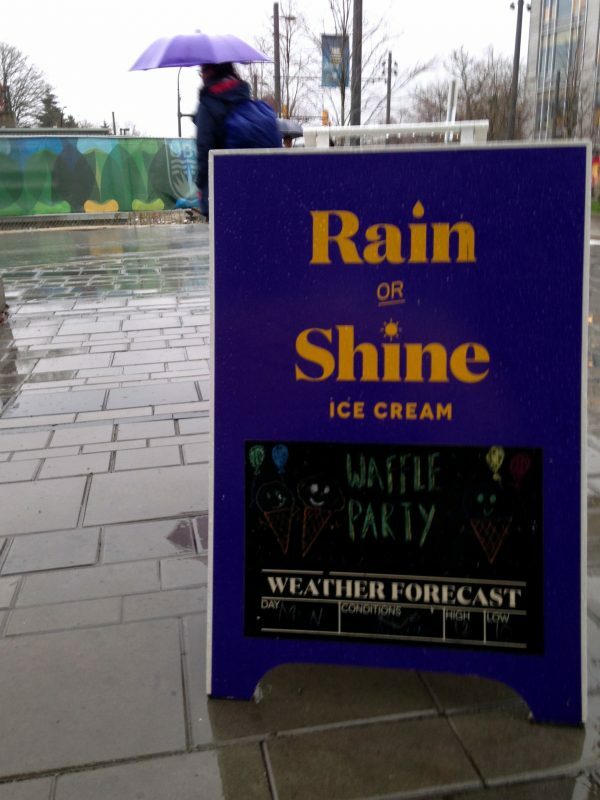 Rain or shine, its ice cream time. There is no letting up on today’s weather forecast that is causing concern for us with a bit stormy for the commuter’s taste especially when we are the recipient of a splash of water from the pool of rain when vehicles run over it while we are standing on the curb. 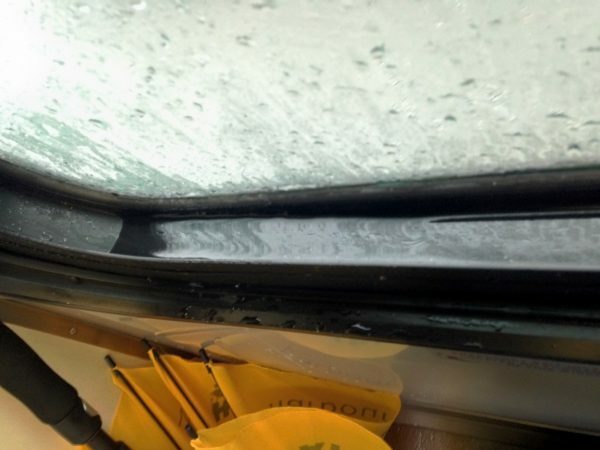 Even riding the line sitting by the window side, I entertained myself as the rain is accumulating on the window sill, moving side to side as the bus hits its break creating a tidal wave effect and eventually, it overflows and I get splashed! 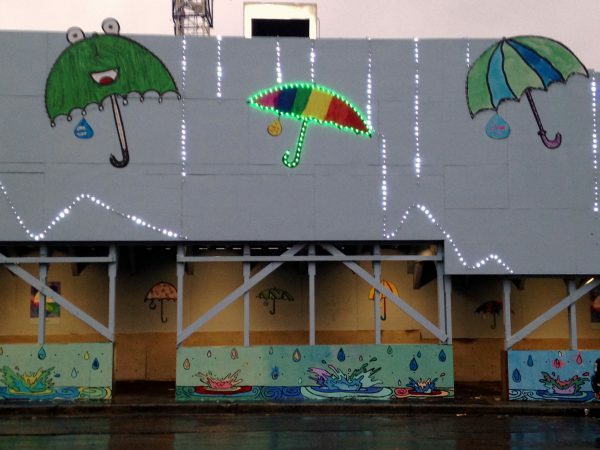 Since it rains a lot here, the corridor for pedestrians erected on the construction site is elaborately decorated with umbrellas, raindrops and splash effect of water. Finally, here’s the real thing. An Orca or Killer Whale showing off while we were on the ferry en route to the island. This entry was posted in Photography, Street Photography and tagged Killer Whate, Lens-Artists, Orca, Photography, Street Photography by Perpetua. Bookmark the permalink. Thanks, Tina. It was exciting. I get excited when I see a deer … a whale is in an entirely different category!! Wow. The joke is we live in the We(s)tcoast. From Sept to May, ce la vie. To top that, King Tide is here. Whale watching is big tourist attraction in Vancouver. So next time you are in town, make sure this is added on your list to see. It’s a whale 🐳 of a time.